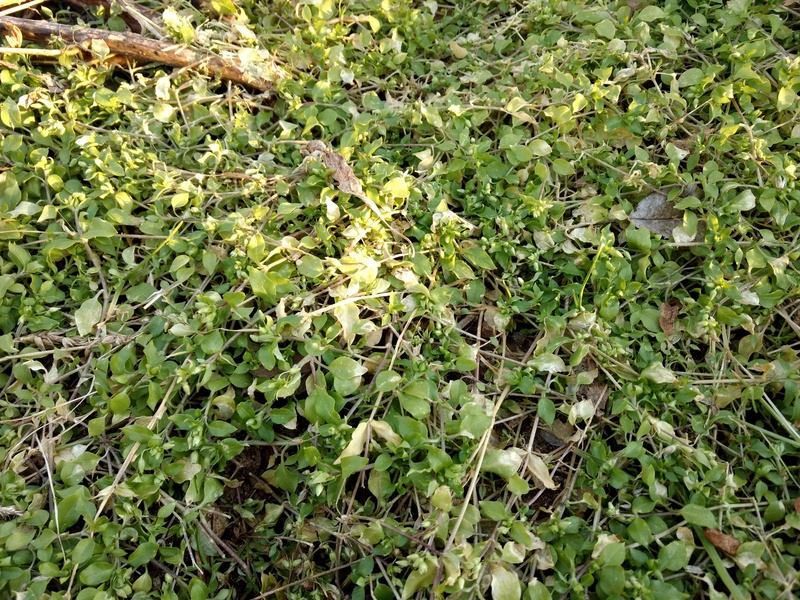 Chickweed is one plant that can be found all winter. 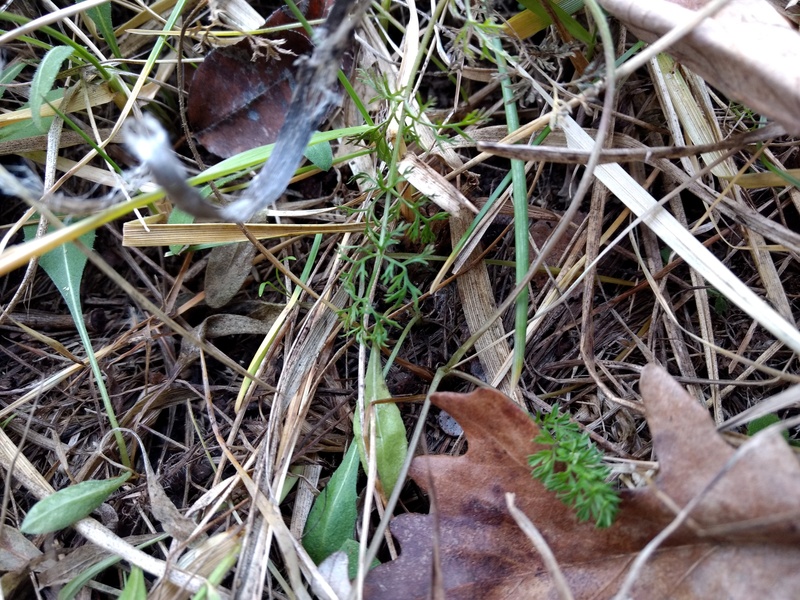 Look for dense, tangled mats of green when the snow melts, or even under the snowpack. After just a few days of warmer temperatures, the plants will have tiny white flowers. Chickweed is a good green for salads and sandwiches. 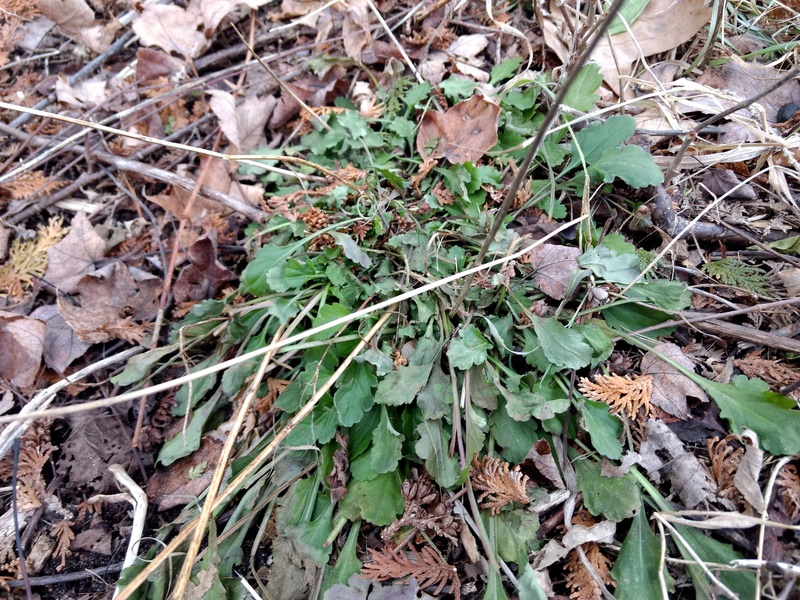 Oxeye daisy greens can also be found in the winter. While chickweed has a mild, spinach like taste, oxeye daisy greens have a sweet-spicy flavor. Combined, these 2 greens are a great start to a fresh winter salad. 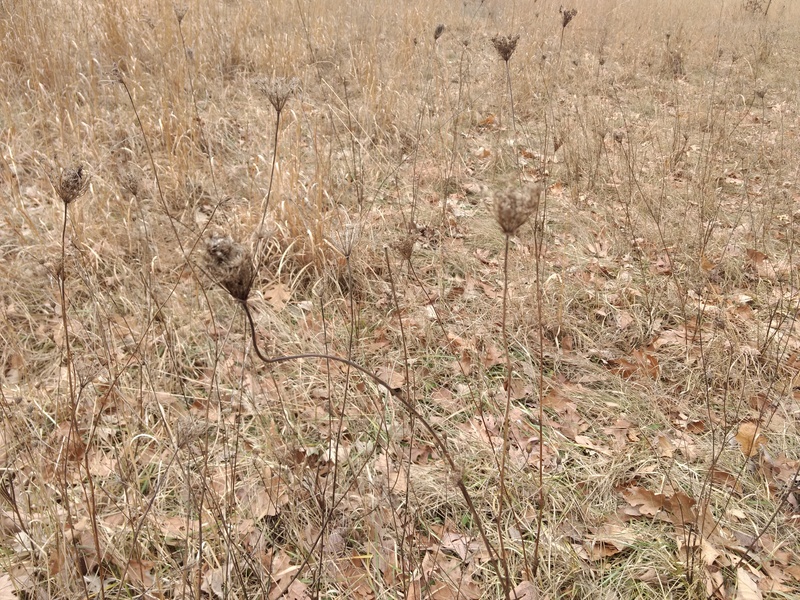 The dried stalks of a patch of wild carrots are easy to recognize. Inside the dried up flower heads you will find carrot seeds, which can be used as a seasoning when roasting vegetables and meats. But if you look carefully at the ground you will find the rosettes of the still living carrots. Enjoy the greens in soups and stews, or dig them up to find the tiny, but delicious, carrot beneath. 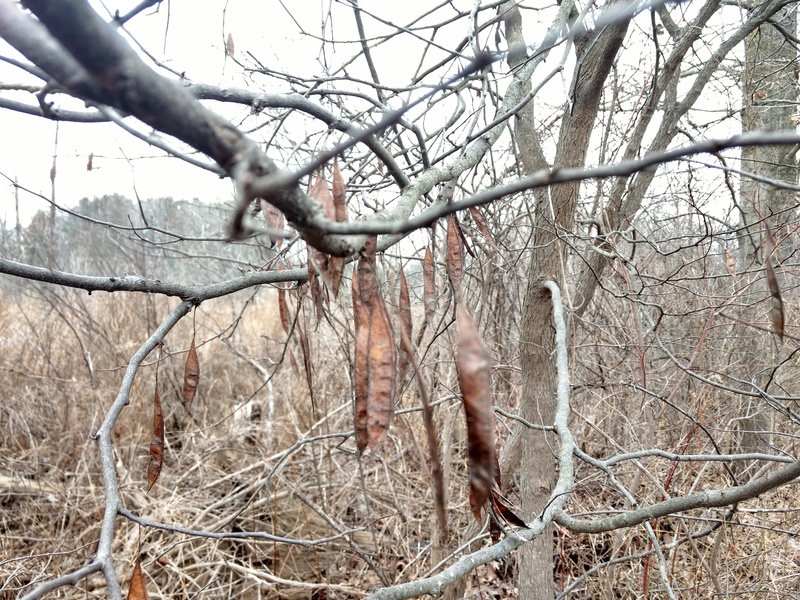 Redbud trees hold onto their pods well into the winter. Redbuds are legumes, and the dried seeds inside are much like beans lentils. Unlike beans or lentils, they won’t rehydrate and become soft. However, the dried seeds are easily ground to make a high protein flour that can be added to breads and stews. 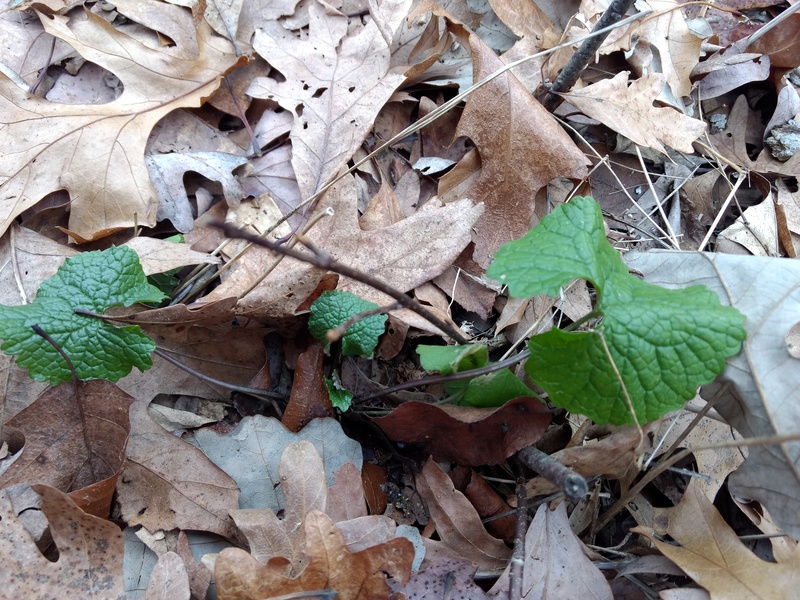 Garlic mustard is another winter green. Pick the greens and mix them in your salads and stir frys to add kick. Or dry and powder the leaves to use as a seasoning. Or dig up the root, shred it, and mix it with salt and vinegar for a delicious horseradish type condiment. 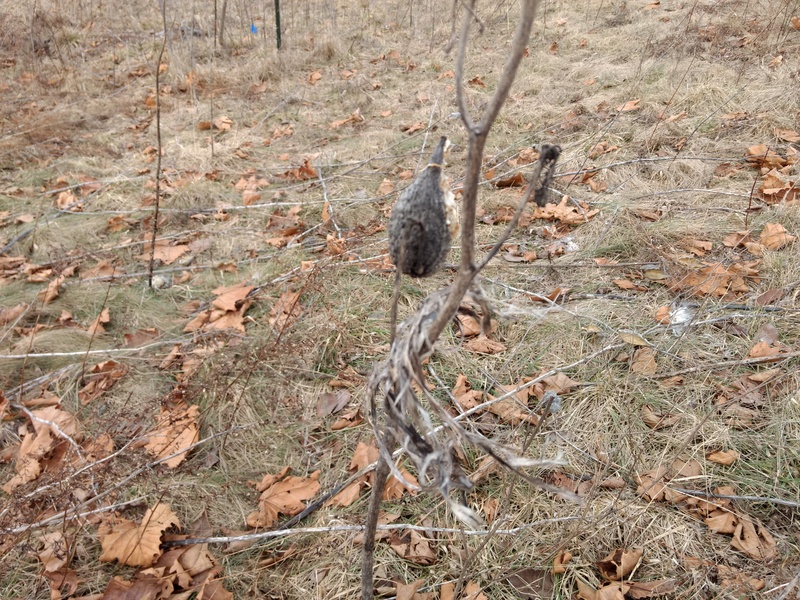 Milkweed stalks are easy to recognize. The fibers from these stalks make beautiful, strong cordage. Even when spun very thin. The fibers are best harvested in fall, after the first frost. Over the winter, the fibers are broken down by freezing and thawing. And when temperatures climb higher, damp conditions promote mold that breaks them down even further. But right now they are still in good shape. So get them while you can. We have some great camps planned for this summer, including Mushroom Camp, Microbe Camp, and our 5th annual Great Lakes Foragers Gathering. Check out our upcoming events page for details. I had NO idea red bud seeds could be used for flour! Can’t wait to try this, thanks. I got the idea when I saw lentil flour in an indian grocery. Eager to hear what you do with it.